Kemp powers always-on application experience (AX) for enterprises and service providers, simplifying how customers optimise, analyse and secure their applications across private and multi-cloud environments. 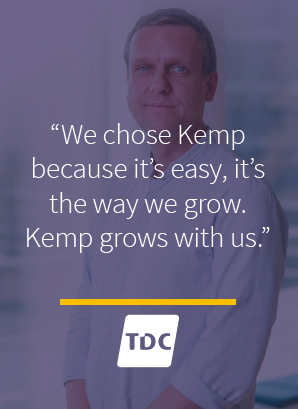 Why is Kemp trusted by 25,000 + global customers? Kemp powers always-on application experience (AX) for enterprises and service providers. Leveraging an agile per-app ADC/load balancing consumption model, predictive analytics, and automated issue resolution, Kemp is radically simplifying how customers optimize, analyse and secure their applications across private and multi-cloud environments. Say “goodbye” to consolidating multiple apps on a single load balancer. We reduce the application blast radius by giving you a dedicated load balancer/ADC for each app or microservice across cloud and container environments. Eliminate the guesswork and over-provisioning of load balancers with pay-as-you-go metered licensing. 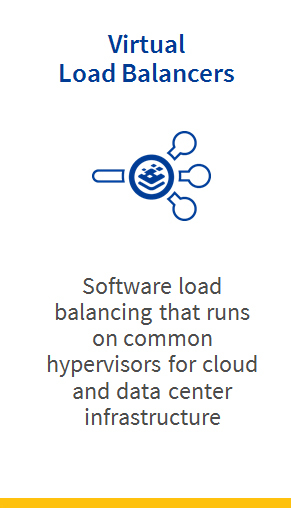 With Kemp, you can deploy unlimited load balancing instances with unlimited throughput, and only pay for what you use! 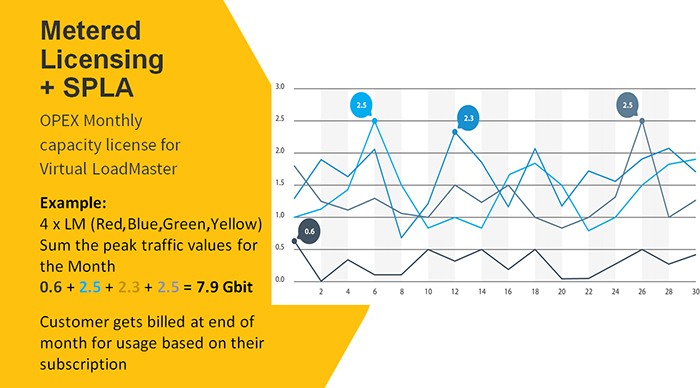 When it comes to virtual and hardware load balancers, Kemp stands above the rest. 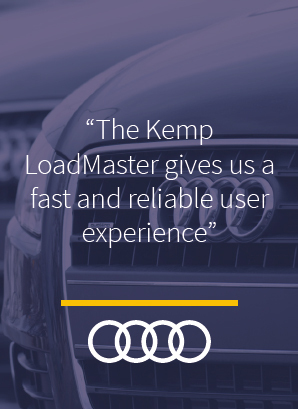 The Kemp LoadMaster X15 delivers four times the throughput for every dollar spent compared to F5 and Citrix. 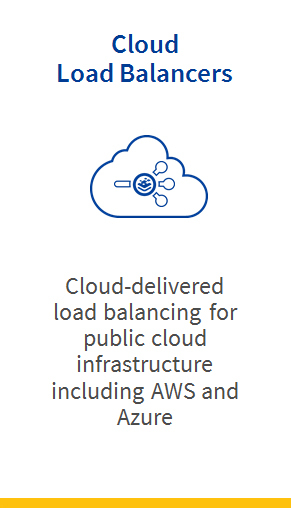 Kemp is first to provide management and visibility into third-party load balancers, including F5, Nginx and AWS, and our robust cloud-native offerings and centralised multi-platform support mean you are never locked into any one public cloud provider. Utilising a shared database of past application issues from across all customer deployments, Kemp applies that learning to your environment for faster detection and resolution of application issues. What business problems does Kemp solve? Kemp application experience fabric enables agility, analytics and automation. IT agility and velocity require new load balancing architectures. Combining Kemp 360 with usage-based consumption, enables enterprises to create a scale-in/scale-out, per-app ADC architecture. This allows for rapid infrastructure change, greatly expanded deployments, a broader range of use cases and reduced blast radius of issues and outages across services and applications. Context-relevant insight into application user experience is key to delivering services that satisfy customers. Kemp load balancers are positioned in the flow between users and their applications. Kemp 360 provides insight into network, server, and application related issues that impact positive user experience and app delivery SLAs. Kemp 360 provides multi-cloud visibility and control of load balancers from Kemp, F5, AWS, NGiNX, and HAProxy. Automation increases operational efficiency, optimizes resources and shortens time to market of new applications. Launching new services and scaling traditional load balancers is manual, error-prone and time-consuming. Kemp 360 automation allows for zero-touch provisioning. Preemptive detection and resolution of app delivery issues are simplified with automated incident response. Cloud migration is de-risked with active traffic steering based on business logic. 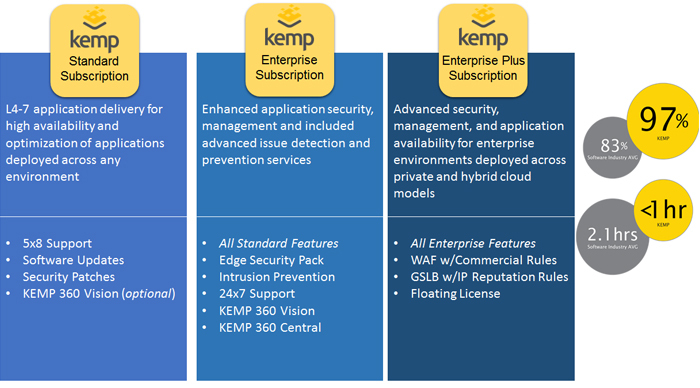 Why do enterprises and service providers buy Kemp? Whether your workloads are on prem, in a public cloud or across multiple clouds Kemp 360 simplifies application delivery. Our Per-App ADC model provides unmatched agility through an unlimited number of high-performance load balancers, for an unlimited number of applications, supporting unlimited throughput. Match all this with our award winning support teams globally and we have a winning solution for any enterprise or service provider. 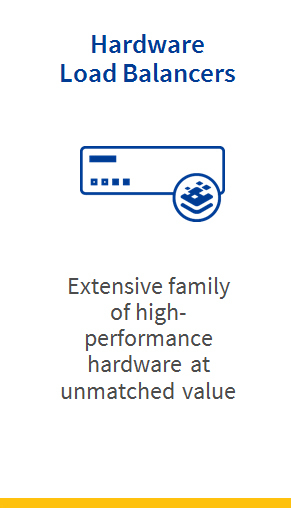 What differentiates Kemp products from existing products and services? • Elastic, infinitely scalable, load balancing. Unlimited, on-demand virtual instances. • Per-application ADC deployment across multi-cloud. 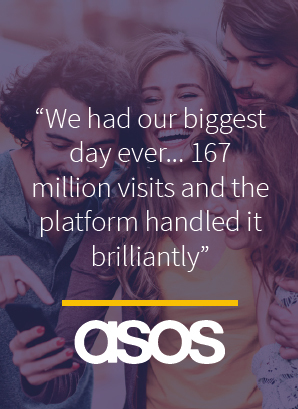 • Subscription and metered consumption drive TCO down by 600%. • No other vendor offers multi-vendor load balancer management. Choose your load balancer from Virtual, Cloud and Hardware and then decide how you want to pay. Call 020 8296 7066 to talk to your account Manager for more details. Get one of our Northamber Solution experts to call you back - just complete the simple form below.